Jonathan Crombie (October 12, 1966 – April 15, 2015) was a Canadian actor and voice over artist, best known for playing Gilbert Blythe in CBC Television's 1985 telefilm Anne of Green Gables and its two sequels. Gilbert Blythe is a fictional character in Lucy Maud Montgomery's Anne of Green Gables series of novels. 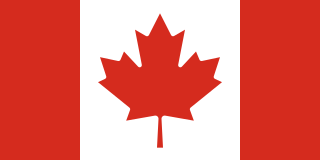 CBC Television is a Canadian English language broadcast television network that is owned by the Canadian Broadcasting Corporation, the national public broadcaster. The network began operations on September 6, 1952. Its French-language counterpart is Ici Radio-Canada Télé. Anne of Green Gables is a 1985 Canadian television miniseries drama film based on the novel of the same name by Canadian author Lucy Maud Montgomery, and is the first in a series of four films. The film starred Megan Follows and was produced and directed by Kevin Sullivan for the Canadian Broadcasting Corporation. It was released theatrically in Iran, Israel, Europe, and Japan. David Edward Crombie is a Canadian politician, professor and consultant. Crombie served as mayor of Toronto from 1972 to 1978. In federal politics, he served as a Progressive Conservative Member of Parliament from 1978 to 1988 serving in several cabinet positions. Anne of Green Gables: The Continuing Story was a 2000 miniseries television film, and the third installment in a series of four films. The film was highly anticipated among fans of Anne of Green Gables. It borrowed characters from the Anne of Green Gables novels by Lucy Maud Montgomery. It served as a sequel to two mini-series produced by CBC Television in the 1980s. It was the most controversial and heavily criticized of the three film adaptations written and produced by Kevin Sullivan. Road to Avonlea is a Canadian television series first broadcast in Canada between January 7, 1990, and March 31, 1996, and in the United States starting on March 5, 1990. The program was created by Kevin Sullivan and produced by Sullivan Films in association with the Canadian Broadcasting Corporation (CBC) and the Disney Channel, with additional funding from Telefilm Canada. The Disney Channel began airing the series in the United States on March 5, 1990, and continued airing it in January 1997. Crombie was also a comedian and in 1998 performed on the Canadian TV series Comedy Now! as part of a sketch comedy group. His other television credits included a guest appearance on an episode of the Vancouver filmed TV series 21 Jump Street in 1991, voicing the title character in the animated series The Secret World of Benjamin Bear (2004–2010), and appearing in the second season of Slings & Arrows (2005), as playwright Lionel Train. In 2015, he had a guest role on The Good Wife and Haven . Comedy Now! is a Canadian comedy television series which debuted in 1997 and ended in 2014 featuring the newest in Canadian comedic talent. The show has won numerous Gemini Awards as well as many international awards. It is broadcast in Canada on The Comedy Network and CTV. In the United States, the program airs on Comedy Central. 21 Jump Street is an American police procedural television series that aired on the Fox network and in first run syndication from April 12, 1987, to April 27, 1991, with a total of 103 episodes. The series focuses on a squad of youthful-looking undercover police officers investigating crimes in high schools, colleges, and other teenage venues. It was originally going to be titled Jump Street Chapel, after the deconsecrated church building in which the unit has its headquarters, but was changed at Fox's request so as not to mislead viewers into thinking it was a religious program. The Secret World of Benjamin Bear is a Canadian/UK animated television series produced by Red Kite Animation; PorchLight Entertainment and Amberwood Entertainment. It originally aired on Family Channel from 2003-2009 and aired reruns until 2015. Reruns on the show air on the French language channel TFO, but it is unknown if it will return to the air in English again. 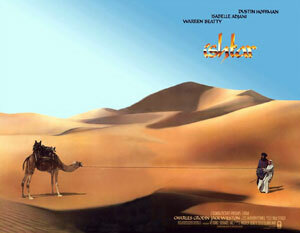 Ishtar is a 1987 American action-adventure-comedy film written and directed by Elaine May and produced by Warren Beatty, who co-starred opposite Dustin Hoffman. The story revolves around a duo of incredibly untalented American songwriters who travel to a booking in Morocco and stumble into a four-party Cold War standoff. Indiegogo is an international crowdfunding website founded in 2008 by Danae Ringelmann, Slava Rubin, and Eric Schell. Its headquarters are in San Francisco, California. The site is one of the first sites to offer crowd funding. Indiegogo allows people to solicit funds for an idea, charity, or start-up business. Indiegogo charges a 5% fee on contributions. This charge is in addition to Stripe credit card processing charges of 3% + $0.30 per transaction. Fifteen million people visit the site each month. Crowdfunding is the practice of funding a project or venture by raising small amounts of money from a large number of people, typically via the Internet. Crowdfunding is a form of crowdsourcing and alternative finance. In 2015, over US$34 billion was raised worldwide by crowdfunding. Morris Stephen Panych is a Canadian playwright, director and actor. The Dora Mavor Moore Award is an award presented annually by the Toronto Alliance for the Performing Arts which honours theatre, dance and opera productions in Toronto. Named after Dora Mavor Moore, who helped establish Canadian professional theatre, the award was established on December 13, 1978. Each winner receives a bronze statue made from the original by John Romano. Canadian Stage is a not-for-profit contemporary performing arts company based in Toronto, Ontario, Canada. 1986 The Campbells Kevin Sims Episode: "The Face of a Stranger"
1987 CBS Schoolbreak Special Barney Roth Episode: "The Day They Came to Arrest the Book"
1988 Alfred Hitchcock Presents Rick Garrison Episode: "Fogbound"
1989 The Hitchhiker Kenny Episode: "Coach"
1991 21 Jump Street Bill Howard Episode: "The Education of Terry Carver"
1992 Road to Avonlea Gilbert Blythe Episode: "Old Friends, Old Wounds"
1993 Matrix Cumberland Episode: "Conviction of His Courage"
1993 Class of '96 Sam Clive Episode: "They Shoot Baskets, Don't They"
1997 Comedy Now! Various Episode: "Skippy's Rangers - The Show They Never Gave"
2002 Earth: Final Conflict Dr. Field Episode: "Deep Sleep"
2003 Slings & Arrows Episode: "Playing the Swan"
2004 The Jane Show Dave Episode: "Pilot"
2015 The Good Wife Inspector Bill Frazier Episode: "Hail Mary"
2015 Haven Young Dave Episode: "Just Passing Through"
Anne Shirley is a fictional character introduced in the 1908 novel Anne of Green Gables by Lucy Maud Montgomery. Montgomery wrote in her journal that the idea for Anne's story came from relatives who, planning to adopt an orphaned boy, received a girl instead. Anne Shirley's appearance was inspired by a photograph which Montgomery clipped from the Metropolitan Magazine and kept, unaware of the model's identity as the 1900s Gibson Girl, actress Evelyn Nesbit. Anne of Green Gables: The Sequel is a 1987 Canadian television miniseries film. It is a sequel to Anne of Green Gables, and the second of a tetralogy of films. The miniseries dramatizes material from several books in the eight-novel "Anne" series by Lucy Maud Montgomery; they are Anne of Avonlea, Anne of the Island and Anne of Windy Poplars. As well, the TV film introduces several characters and issues not present in the books. Anne of Avonlea is a Canadian and American novel by Lucy Maud Montgomery. It was first published in 1909. Anne of the Island is the third book in the Anne of Green Gables series, written by Lucy Maud Montgomery about Anne Shirley. Anne of Windy Poplars—published as Anne of Windy Willows in the UK, Australia, and Japan—is an epistolary novel by Canadian author L. M. Montgomery. First published in 1936 by McClelland and Stewart, it details Anne Shirley's experiences over three years teaching at a high school in Summerside, Prince Edward Island. The novel features a series of letters Anne sends to her intended, Gilbert Blythe, who is completing medical school. Chronologically, the book is fourth in the series, but it was the seventh book written. Anne of Ingleside is a children's novel by Canadian author Lucy Maud Montgomery. It was first published in July 1939 by McClelland and Stewart (Toronto) and the Frederick A. Stokes Company. It is the tenth of eleven books that feature the character of Anne Shirley, and Montgomery's final published novel. Kevin Roderick Sullivan is a Canadian writer, director and producer of film and television programs. Anne of Green Gables (1956) is a Canadian television film directed by Don Harron. 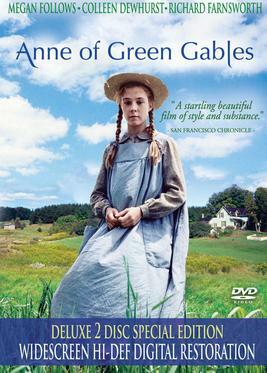 The film was based upon the novel, Anne of Green Gables by Lucy Maud Montgomery. Anne & Gilbert is a musical based on the Anne of Green Gables series of books by Lucy Maud Montgomery. The show was based on the books Anne of Avonlea and Anne of the Island, and adapted by Jeff Hochhauser, Nancy White, and Bob Johnston. Patricia Hamilton is a Canadian actress, perhaps best known for playing Rachel Lynde in the television mini-series Anne of Green Gables, its sequels: Anne of Green Gables: The Sequel, Anne of Green Gables: The Continuing Story, and Anne of Green Gables: A New Beginning, and several Anne of Green Gables related films. Christopher Blake was an English actor and screenwriter. He is perhaps best remembered for starring in the British sitcoms Mixed Blessings (1978–80) and That's My Boy (1981–86). Anne of Green Gables: The Animated Series is a Canadian animated television series produced by Sullivan Entertainment and developed by writer/director/producer Kevin Sullivan, based on the 1908 novel Anne of Green Gables by L. M. Montgomery. One season of the series was produced, with 26 episodes, originally airing from 2001 to 2002. The series was developed for PBS. Then the show aired in reruns on Qubo from May 13, 2013, until December 25, 2016. Each episode contained an educational aspect, with a problem for one or more of the show's characters to face and solve. In conjunction with these problems, PBS "Ready-to-Learn" guides were created for teachers in America to use in classrooms. The Blythes Are Quoted is a book completed by L.M. Montgomery (1874–1942) near the end of her life but not published in its entirety until 2009. It is her eleventh book to feature Anne Shirley Blythe, who first appears in her first and best-known novel, Anne of Green Gables (1908), and then in Anne of Avonlea (1909), Chronicles of Avonlea (1912), Anne of the Island (1915), Anne's House of Dreams (1917), Rainbow Valley (1919), Further Chronicles of Avonlea (1920), Rilla of Ingleside (1921), Anne of Windy Poplars (1936), and Anne of Ingleside (1939). It consists of an experimental blend of fifteen short stories, forty-one poems, and numerous vignettes featuring Anne and members of her family discussing her poetry. The book focuses on small-town life in Glen St. Mary, Prince Edward Island, and is divided into two halves: one preceding the events of the First World War of 1914–1918 and one relating incidents after the war, up to and including the beginning of the Second World War of 1939–1945. Barbara Hamilton was a Canadian actress in film, television and theatre. 1 2 Moore, John (18 April 2015). "Actor Jonathan Crombie of Benediction has died at 48". Denver Center for the Performing Arts. Retrieved 22 April 2015. 1 2 Shulman, Michael (18 April 2015). "'Anne of Green Gables' star Jonathan Crombie dies at age 48". CTV News. Retrieved 23 April 2015. ↑ Vlessing, Etan (19 April 2015). "'Anne of Green Gables' Star Jonathan Crombie dies at 48". The Hollywood Reporter . Retrieved 23 April 2015. 1 2 3 4 5 Kennedy, John R (18 April 2015). "'Anne of Green Gables' actor Jonathan Crombie dies at 48". Global News. Retrieved 23 April 2015. ↑ Terrero, Nina (18 April 2015). "Anne of Green Gables star Jonathan Crombie dies at 48". Entertainment Weekly . Retrieved 23 April 2015. ↑ Broadway.com Staff (17 August 2007). "Jonathan Crombie Returns as Drowsy Chaperone's Man in Chair". Broadway.com. Retrieved 23 April 2015. 1 2 Pelley, Lauren (19 April 2015). "Actor the classic boy next door". Toronto Star. Retrieved 19 April 2015. ↑ Jones, Kenneth (17 August 2007). "Hot Seat: Crombie Will Be Back in Broadway's Drowsy Aug 21". Playbill.com. Archived from the original on 16 April 2009. Retrieved 23 April 2015. ↑ "A Raisin in the Sun Revisited". Pbs.org. Archived from the original on 30 December 2013. Retrieved 23 April 2015. ↑ "Jonathan Crombie Was Gay Says Sister Robin. Posted on 7 July, 2015". Eat Blog and Die. Retrieved 2018-03-04. ↑ "Jonathan Crombie, Anne of Green Gables actor, dead at 48". cbc.ca. CBC News. 18 April 2015. Retrieved 18 April 2015. ↑ Omar, Mohamed (19 April 2015). "Jonathan Crombie Dead: Anne Of Green Gables Actor Was 48". Huffington Post Canada. Retrieved 23 April 2015.